Video games improve strategic thinking. Rare is the video game that doesn't require its player to make a decision two or three steps ahead of a current situation. With constant play, players quickly learn the advantage of strategic thinking and they start to apply it to actual world opportunities. Video games improve problem solving. Although the same could be said about any game, video games have proven in study after study to improve problem-solving skills. This is because most (if not all) games are centered around a problem and then challenge the player to solve it. In just one game, a player may solve anywhere from three to a hundred or more different problems. Video games improve hand and eye coordination. If you find this hard to believe, pick up a game controller and try to maneuver around the game. Manipulating a game controller demands the same skills that it takes to maneuver a mouse around a computer screen. 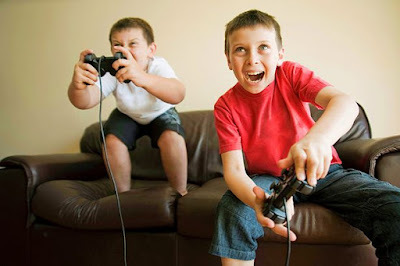 Video games facilitate quick decision-making. One quality of video games that lends to quick decision making is its impromptu situations. The element of surprise is always around the corner and it's what makes games exciting to play. To win however, players must be able to make smart decisions within a very short amount of time. Video games feed the imagination. We don't really understand the argument against things like television, videos, and gaming where people use the lack of imagination to support their part of the debate. Some people claim that video games take away from the imagination because games supply the mind with things instead of encouraging the mind to come up with these things on their own. Bear in mind that these are the same people who say a stack of blocks is sufficient to grow a child's imagination. Of course we couldn't disagree more. The imagery in video games only fuels the imagination and gives it a spring board to form new possibilities that might not have occurred otherwise. Video games encourage exploration. In role-playing games, players must venture off the beaten path and explore the unknown. They have to open doors without knowing what's behind them. They have to enter areas of the game without knowing the consequence. And they have to interact with characters that they've never met before. Inside these particular kinds of games, the opportunity to gather up the courage to explorer unknown territory isn't just available, it's required. Video games enforce memorization. Another feature of video games is its strong influence on memorization. The terrain portrayed inside some of these games is huge, yet accessing the maps can be cumbersome and disruptive to the game. To compensate, gamers will not only memorize a large portion of the terrain, they'll remember the tasks required to get to specific areas. Video games teach consequence. All computer and video games operate off of an "action - reaction" principle. Do something, and the game will react. This is a great opportunity to learn about consequence - whether this opportunity is experienced from a gamer's point of view or a programmer's point of view. Video games teach patience, dedication, and endurance. No great game can be conquered in a day. In fact, some of the best and most popular games take weeks or months to finish.